Use Topaz Adjust for brilliant contrast, detail, and color adjustments. Our eyes see far more than a camera ever will. Have you ever been so spellbound by something you see that you can hardly take your eyes off it? Maybe it’s a snow-capped mountain, an urban cityscape or a sunset over the ocean. Whatever it is, you are so fascinated by its grandeur, nuances and vibrance. Without diverting your gaze, you raise your camera and press the shutter so you can hang onto this moment forever. But then … your excitement fades as you realize the digital version pales in comparison to the real thing. If only there was a way to make the image fully reflect your photographic vision in brilliant contrast, depth, and color. Watch your images come to life with dramatic contrast, incredible detail and vivid color. Unlike our eyes, a camera lens can’t compensate for all the tonal values we see right in front of us. If you shoot something bright, you’ll lose all the details in the shadows, if you shoot something dark, the highlights will be blown out. You can try to correct contrast, details, and vibrancy yourself, but it’s difficult to make images pop like you want. Thankfully, with Topaz Adjust you can give your images the soul and character you envisioned in the field. Travel Photographer Scott Stulberg uses Topaz Adjust to uncover subtle nuances and hidden details. After teaching Photoshop plug-ins for over 15 years, Scott loves how Topaz Adjust almost reads your mind about subtle tonal nuances that make your photos even better. He also uses it to make his photos more vivid by bringing out incredible detail. Scott Stulberg is a travel photographer who journeys often to distant lands looking to create unique photos. He leads workshops around the globe and teaches digital photography and Photoshop at many institutions. Visit Scott’s website for more great images. 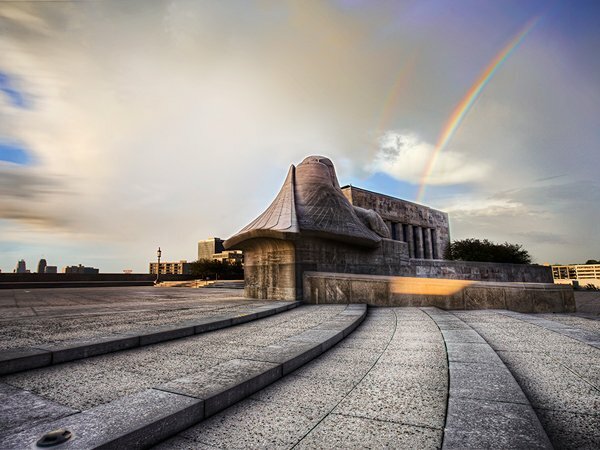 HDR photographer Trey Ratcliff uses Adjust to add a stunning finishing touch. Trey Ratcliff is no stranger to stunning photos, and he uses Topaz Adjust to help him develop them. Adjust’s technology is well-suited to bringing out contrast throughout your photo, which makes it great for creating amazing HDR photos. Trey is a prolific photographer who took the first HDR photo ever hung in the Smithsonian. He has been called the “Pioneer of HDR Photography” on TED. Check out how he uses Topaz Adjust on his photos at Stuck in Customs. If Ben Fewtrell could only have one tool in his digital darkroom, it would be Adjust. Australian photographer Ben Fewtrell has had an SLR in hand since his teens. His main passion is creating images that mimic what the human eye sees, especially in landscape photography (view Ben’s website). Most mornings you will find Ben with his Nikon D800 on the coast of Sydney waiting for the sun to rise. When he’s not snapping photos, he dedicates time helping others with their photo journeys. 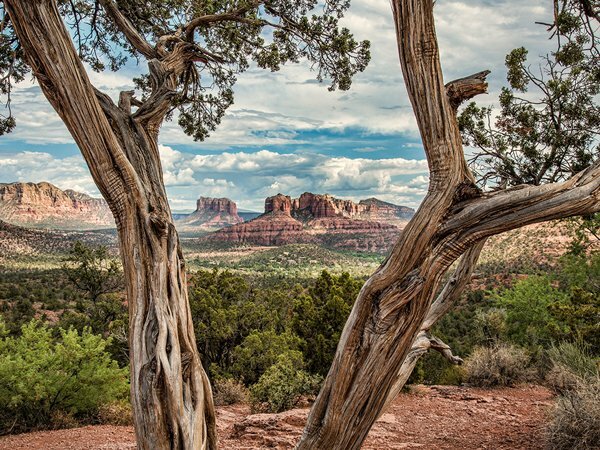 HDR Photographer Blake Rudis uses Adjust to add artistic expression to his images. Blake Rudis remembers the exact moment he became obsessed with creating hyper realistic images back in 2010. He quickly learned he needed a good post-processing workflow to achieve the results he wanted so he purchased Topaz Adjust — and he’s been using it ever since. He uses Topaz Adjust not only because it’s an artistic vision powerhouse, but also because it’s extremely efficient. He knows he can count on the presets — Dynamic Pop II is a favorite — anytime he needs to speed up his workflow. Check out Blake’s unique style on Everyday HDR. Award-winning photographer Rick Sammon uses Adjust to bring the wonders of light into his images. Rick Sammon teaches his students to “explore the light” for great photos, and Topaz Adjust helps him do that in post-processing. He recommends Adjust because it offers endless creative possibilities for all photographers at the click of a mouse. Rick Sammon is a professional photographer and a well-known authority on post-processing (see his website for some great info). He has photographed in almost 100 countries around the world and gives over two dozen photography workshops each year. The secret “oomph” ingredients that make your images stand out. Every eye-catching image has these three characteristics: contrast, detail and color. You’ll be hooked after trying Topaz Adjust just once — you’ll get better results in less time. It’s like having a magic genie in your digital darkroom! All of these are important, but the real magic begins when all 3 characteristics are combined. Photographers everywhere are bringing out the best in their photography with Topaz Adjust. Unlock the true potential of your photos today. Remember that flat and boring photo you thought would be great? Re-open it and use Adjust to reveal its true potential. See for yourself how satisfying it feels when you can bring out the best in your photography.